Avalon Waterways is cruising into Canadian households on their favourite TV channels, with two new commercial spots inviting them to see the world Avalon’s way. To view the spots, click https://bcove.video/2NvxmV6 and https://bcove.video/2NBwazi. The spots will be featured on a total of 23 channels – a combination of regional and national, including HGTV, OWN, CBC News Network, The Weather Network, Gusto, W Network and more. “We have had enormous success with our commercials, driving consumers to visit their travel agents and inquire about Avalon,” says Patrice Geske, Canadian director of marketing for the Globus family of brands, Avalon’s parent company. Avalon’s new Avalon Choice program is featured in the television ads that showcase “Classic,” “Discovery” and “Active” excursions as well as the company’s award-winning Suite Ships. Starting in 2019, Avalon’s European fleet will, for the first time, be exclusively Suite Ships, featuring signature 200-square feet Panorama Suites, 30% larger than the average stateroom. 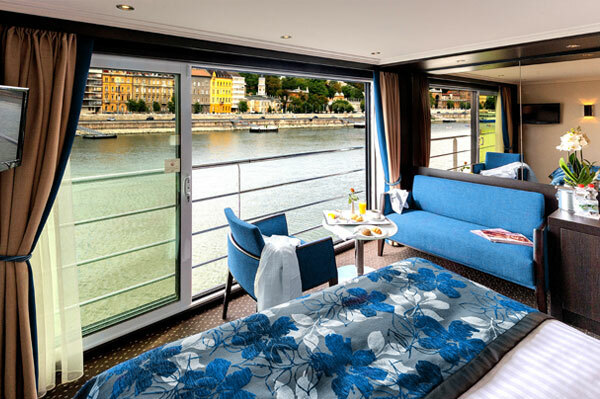 Featured on two of three decks of every Avalon ship, these suites with their window-facing beds and window-walls which open to create open-air balconies will be highlighted in the commercials.